Allen King of BioMass Packaging collaborates with former Chez Panisse pastry chef to integrate complete line of biodegradable supplies into Ici’s brand image. Collaborating with BioMass Packaging, Canales was able to specify the ideal bio-based solution for every item on Ici’s menu. Knowing how much trash a busy restaurant can generate, I decided we should divert as much of it as possible away from the landfill. Early in the planning process, BioMass Packaging was able to recommend biodegradable and smart products. 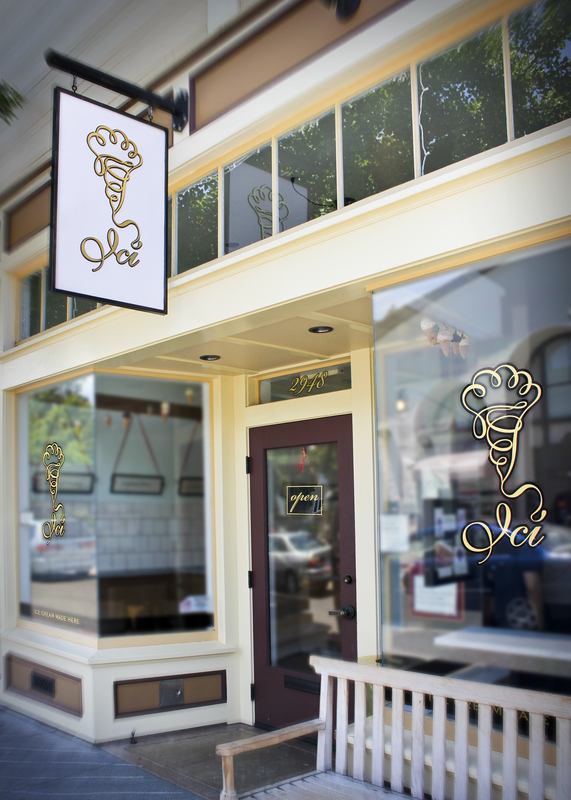 Ici Ice Cream of Berkeley, California, has developed a loyal following of desert lovers who crave its assortment of fresh, natural ice creams, sorbets, candies and cookies. One reason that Ici attracts consumers who are interested in a lifestyle of health and sustainability (LOHAS) is that Ici sources the finest ingredients from local farms and producers that are committed to organic and sustainable practices. But another important aspect of the Ici brand is presentation — for display purposes as well as for in-store and to-go packaging. When planning the launch of Ici, Mary Canales (formerly the pastry chef at Chez Panisse) was emphatic that Ici’s packaging and serveware should reflect her company’s core value of sustainability. Canales didn’t need to look far from Berkeley: her search led her to nearby BioMass Packaging®, a firm that specializes in biodegradable, nature-based packaging for foodservice and other applications. ■ Cold drink cups made from Ingeo™ starch-based plastic. Allen King works with many businesses in the foodservice industry that are eager to use the “power of green” to differentiate themselves from their competition, steering them toward the optimum mix of ecologically sound products. For example, is a paper cup made from recycled paper lined with polyethylene as good for the planet as the paper cup made from paper sourced from trees that are sustainably farmed, and then lined with Ingeo? To learn more about the comprehensive range of bio-based, sustainable foodservice packaging products offered by Excellent Packaging, or to enquire about volume pricing, call (800) 317-2737 or email sales(at)excellentpackaging(dot)com. 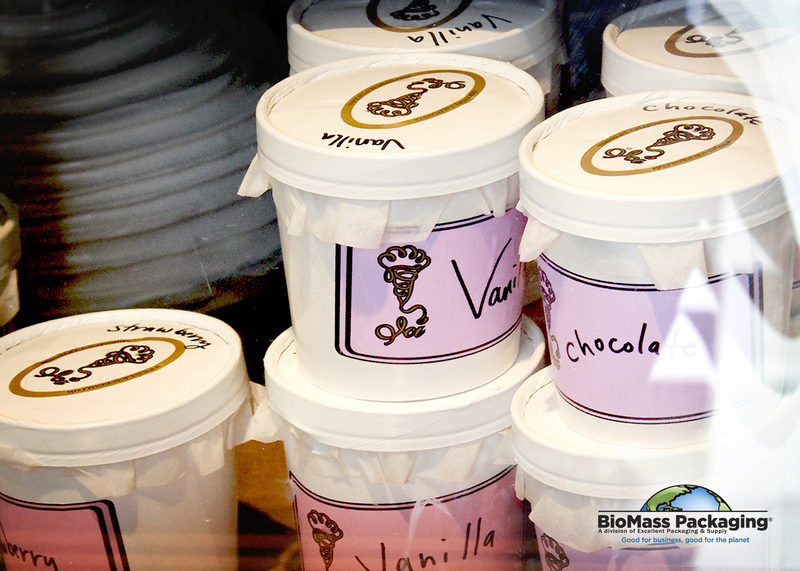 BioMass Packaging (http://www.biomasspackaging.com) specializes in sustainable packaging solutions for foodservice operators that want to reduce their impact on the environment. The company is a division of Excellent Packaging (http://www.excellentpackaging.com), a wholesale distribution company that specializes in nature-based packaging for foodservice and other applications. Excellent Packaging brings decades of experience to research, source and deliver custom bio-based and traditional packaging and foodservice products that enable companies to integrate sustainable foodservice solutions into their business. Follow us on Facebook (BioMassPackaging) and Twitter (@BioMassPackage). 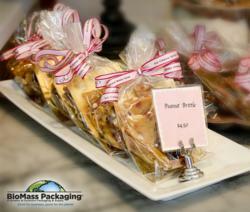 An important aspect of the Ici brand is presentation — for display purposes as well as for in-store and to-go packaging. "When we first opened, people immediately commented on our natural packaging. It feels good to pitch it into the compost bin rather than the regular trash." One reason that Ici attracts consumers who are interested in a lifestyle of health and sustainability (LOHAS) is that Ici sources the finest ingredients from local farms and producers that are committ BioMass Packaging specializes in sustainable packaging solutions for foodservice operators that want to reduce their impact on the environment.